Dan - The money can be used for anything... the problem is that the investment gains will be subject to ordinary income taxes and a 10% penalty if not used for qualified educational expenses. www.kiplinger.comMoney that\'s left in these college-saving funds are subject to income taxes and an early-withdrawal penalty, except in some circumstances. I am a 38yo, single male, who is ashamedly a novice when it comes to financial matters. I am currently renting, do not own any real estate, no loans, debts or any outstanding bills. I make an average salary of $50,000.00 a year. I have a portfolio worth $126,577.67 with one financial group, including IRA and individual brokerage accounts. I also have $42,344.07 in a savings account, $18,713.83 in a checking account, and a credit of -$7,179.93 on my credit card account. Any advice on what I should be doing with my money, best plans for the future? Distributions are allocated between principal and earnings on a pro-rata basis. Account Contributions / Account Value x Distribution = Contribution Portion. Your contributions (the amount you originally deposited) will never incur penalty. What are the exceptions to the penalty rule? In all of these cases the earnings portion of the withdrawal will incur income tax. 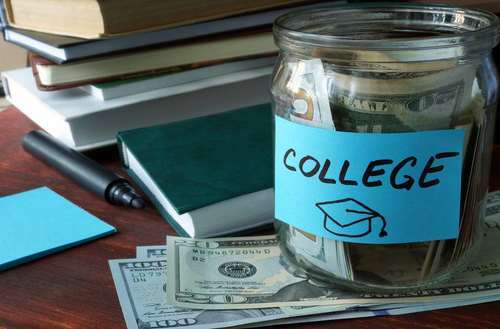 Money saved in a 529 can be used only for direct college expenses. The costs eligible are; Tuition, Room and Board, Computers and Books and Supplies. If you take the funds out for anything other than higher education costs outlined you will be subject to a ten percent penalty and income tax on the earnings. That said, You can transfer funds from one child to another child’s 529 plan. Needing $Help -- sounds like you've done a great job of saving, which is the toughest thing for some people to do. Sounds like it's now time to fit your actions into an overall plan that's targeted to your goals and objectives. This is where meeting with a fee-only planner could really help you, so that you'd understand how your actions -- and your investments -- fit into your overall plan. Needing - Saving as much as you have puts you in the expert level of financial knowledge! Keep up the good work. Next, invest for long-term growth. If you decide not to use a fee-only advisor, I'd recommend you look at Vanguard's LifeStrategy funds. These are low cost, tax efficient, prebuilt portfolios that cover a number of risk/reward levels. Just as Delia said, you seem to be a good saver. Well done. One specific suggestion I have is - to set aside your Emergency fund. You seem to have this money covered in checking/saving accounts. However, those savings could be generating negative returns if you consider inflation. So, if you are eligible, contribute to Roth IRA and consider the contributed amount as your emergency fund. www.kiplinger.comYou probably don\'t expect to attain great wealth in your lifetime. Simple financial security would do, if only you knew what that meant. How do you balance how much to save each year to your 401(k)? I tried maxing out this year, but my credit card debt has gone up. Should you adjust your contribution by month? I like the idea of paying myself first and getting a tax break, but obviously credit card debt isn't good. Good afternoon. I am Bobbie Munroe CFP with Supporting Your Choices, Inc. I am a fee only advisor and a proud member of NAPFA. I look forward to answering your questions. My thanks to Kiplinger for making this public event possible. Tom, the truth is that most people need to save at least 15% to have the life they want in retirement. Now this can change depending on circumstances. For instance some people's expenses will go down if they pay off their mortgage before retirement. And some expenses will go up as you have so much time to do the things you want to do. 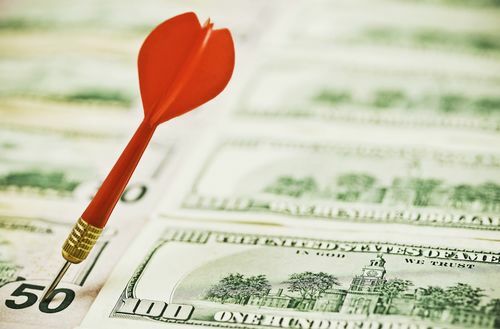 A financial goal funding plan could help you determine if you are saving enough. BTW, your employer contributions if vested immediately could count toward that 15%. If you are married and your spouse works, she needs to save 15% as well. Tom - "Credit card debt has gone up"?? My recommendation differs if your balance has gone from $0 to $1,000, or from $20,000 to $25,000? I applaud you for reaching to max out your 401(k), but paying off credit card balances (with double digit interest rates) should be a higher priority. If your credit cards are mostly under control, I would recommend reviewing your 401(k) deferrals quarterly. Yes, that sounds like what I had intended. (get spousal benefits now, refile at 70) Or as you put it "restricted application" strategy. When I spoke to a supervisor at SSA she would not commit, butrather referred me to the publication I mentioned earlier. I'm hoping that with the following information you can give me a more difinative answer. Lots going on here. It seems like you are taking advantage of Social Security's "restricted application" strategy. These rules have been recently changed and we do not have access to your birthdate and other pertinent information. I expect the original plan (get spousal benefits now, refile at 70) works for you, but I think another visit to your local Social Security office makes sense. Michael - Based on the information you provided, I *think* your strategy is solid. Maybe you can run the numbers through one of the advanced online Social Security calculators to confirm. I like the tools available at maximizemysocialsecurity.com. Eman57 you can take a net 3000 loss and carry forward the remainder into the future. You can use it to offset future gains or continue to take the loss at 3K per year. Ok, so my 48-yo friend told me she was advised to look into a 7702 - for long term care options? I'm 58...and starting to research a purchase of long term care. Thoughts? www.kiplinger.comPolicies are rising in price, while benefits are getting skimpier. Here\'s how to get the best deal for you. 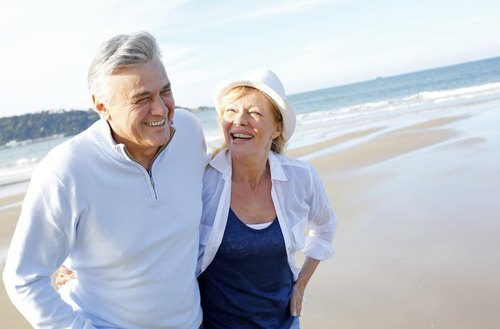 SF -- Long term care (LTC) planning is an important part of retirement planning. So I'd first calculate whether you have the funds you need to retire, and then see if that's still true if you had to spend some of it on LTC. Once you figure that out, you can then select the proper plan or insurance that would best meet your needs. Hello, I am thinking about taking a second job in 2017. My full-time employer sends me a W2 each year. In the second job, I would be an Independent Contractor, working from home. If I were to move forward with this, would I be able to claim 1099 tax benefits (such as the home office deduction) even though I would have my W2 earnings as my primary earnings? Thank you for the insight. SF -- Some people decide they will use their equity in their home to pay for LTC. Others decide to save more or buy insurance. SF, this is a complicated question and I have different answers for my clients depending on their circumstances. It seems the 7702 is referring to a life insurance policy that allows for you to withdraw expenses up to a certain amount (which does not increase for inflation) in the future for long term care. The premiums are not tax deductible on this kind of policy. So do you have someone you want to leave as a beneficiary on a life insurance policy? If not, the premiums may not make much sense. The good feature is that the premiums will not increase over time. I suggest you get a quote and compare this to a quote on traditional LTC. On this the premiums are deductible up to certain limits but the premiums can go up. That is a big shock if you have paid in 20 years and all of a sudden there is a big increase. Remember, get a quote on a policy that pays for in home care and has an inflation rider. And remember, you do NOT need a policy that will cover the entire costs. You can use some of your regular budget that would have been used on clothes, travel, entertainment and the like to help pay for some of the costs if and when you need the care. I strongly suggest you work with a planner on this. Depending on your assets, you may be able to self fund such care. LOVE2WORK - You will have a number of deductions available as an independent contractor. However, for the most part, those deductions will only offset income you receive in the second job. Work with your tax professional on these issues. Lovetowork, you can take business expenses against the second job. But what you can take depends on what kind of job. If you do the lion's share of your work at your home office you can take that deduction and mileage to and from client meetings, the post office, office supply store etc. That deduction is usually worth more than the home office deduction. But if you are just a contractor in someone's office, then such deductions are not allowed. You should check with a CPA for your particular situation. Do remember to save some big money for taxes. As the employer and the employee, you will have to pay about 15% in Social Security and Medicare (if you haven't maxed out on social security at your regular job) AND federal and state income taxes. Since this will be income in addition to your W2 you should see what tax bracket you are likely to be in and save income tax at that percentage. Usually I have 1099 clients save about 35-45% total. I know, that hurts. Then either pay in quarterly estimated payments or increase your withholding at your W2 job substantially. When EE bonds mature after 30 years, what are my choices? In 2020, the EE bonds start to mature just when the RMD kicks in. Hi feenst, we usually see these used for education, can you share what your purpose was when you bought them? When I turn 66 in Aug 2017, when should I apply for spousal social security benefits, prior to Aug 1st or after Aug 1st? ead of when you'd like to start collecting. Feenst, I think the word "mature" is misleading. They will only pay interest for 30 years BUT perhaps you could cash them out the year before your RMD. I look to other advisors to correct me if this is wrong. Yes Anthony, give them time so that the first payment will be ready when the date arrives. 1) When one retires, what is the best way to tap the following investments: TSP, Roth TSP, Roth IRA, Vanguard mutual funds (outside of retirement plan). Hi Mia, great question. Of course, it depends. :) the usual route is taxable first (Vanguard in your example), Roth IRA or Roth TSP, then the other one, then TSP, and if you had them, IRA last. These can and do change with individual circumstances but the idea is that you pay the least taxes first and move into a higher tax burden/requirement to distribute later. Mia, in general I say spend the taxable account first, then the retirement accounts, and save the ROTHs for last as they can provide years of tax free earnings for the beneficiary (though they do have to start taking distributions immediately). Now if you are going to have very low income in the early years of retirement, you may want to take some of the retirement money distributions and just go on an pay tax.....just enough to stay in the same tax bracket. Many of my clients have very little taxable income in their 60s only to have it explode at 70 when they start taking RMDs and delayed social security. I see that Bonnie had a different answer and we love that here as we learn from each other. I think the big takeaway is that it is different for everyone. A little time with a planner could help you determine what is the right path for you. As far as 3% on savings...that is much higher than what I am seeing at Ally Bank which is typically one of the best payers. Wife has high-deductible health insurance thru her job, and turns 65 during 2017. Signing up for Medicare Part A is free, and would be a secondary payer to BX/BS. We will likely meet the deductible prior to her birthday, so BX/BS will be paying 80%. Is there any advantage to signing up for Medicare Part A, to balance the loss of the HSA contributions? Anthony, maximizemysocialsecurity.com is a great resource for you and other readers who are trying to figure out what to do. Bill Mediare Part A does not have a premium and it will pay secondary to whatever the company plan pays for those expenses. So I'm not sure I see a downside. Do pay special attention to the special enrollment period rules when she decides to stop working and applies for Part B. Understand that if she DOES sign up for the free part A, she cannot continue contributions to her HSA. Hi Mia! Bonnie and Bobbie already made great points about withdrawal strategies. I also thought I'd point out that the TSP has some great, low-cost index investment options, but when it comes time to withdrawal your money, it lacks a lot of the flexibility that an IRA would provide. Make sure to chat with a professional to determine the best withdrawal strategy for your situation as it might even mean rolling your TSP money to an IRA to give you more flexibility when it comes time to withdraw your funds in retirement. My credit card debt has climbed to about $15,000...The interest rate has been 0%, but that rate is expiring soon. What's the best plan of action? Is it a bad idea to use retirement savings to pay it off and be done with it? Bill, something else to point out is that once she reaches 65, your wife can use her HSA funds to pay for any Medicare premiums, both tax and penalty free. It sounds like your goal is to maximize tax deferral on those dollars, but whenever it does come time to use the HSA money, that's something to keep in mind. Hi Ian, there's a bigger picture to examine to determine an answer. What makes up the $15k? Is it a one-time medical event not likely to repeat, is it general spending that got out of your control? Are you perhaps living above your means? The reason to look at that is whether you're likely to have a re-run even after paying off. If you google 'snow-ball debt' or similar terms there are calculators to help you understand how to pay that down as quickly as possible. If you're under 59.5 years old, and you take money from an IRA, you'll pay 10% penalty plus having to include it in your income. You could borrow from a 401k if your balance in there is at least $30k and your plan allows it. Ideally, you'd figure out a way to pay it off as fast as possible and then move those payments to an emergency fund when the debt is gone.